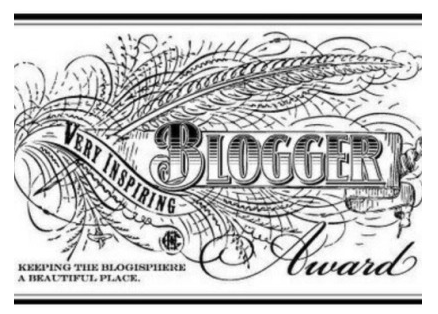 Possibly the best thing that happened to me today is finding a message on WordPress that I have been nominated for the Very Inspiring Blogger award. Today marks my fifteenth day as a blogger, so I am pretty thrilled about this. Thank you https://ddmoonsong.wordpress.com for nominating me. I think this motivates to keep working hard on this blog. 7- Proudly display the award logo ( or buttons ) on your blog, whether in your side bar, ABOUT page or a special page for award’s. – I have traveled to England and back 16 times. Hi Jamie, not to worry, I understand 🙂 Being new to the community I thought it would be a good idea to do this, perhaps it would lead me into getting know other bloggers and get more inspiration!